This may be one of the oldest projects in here, but there is no way I am not including what I am sure will be the only opportunity I will ever have to work on an official Beatles related project. in 2001, the first Beatles motion picture was officially acquired by Miramax (now Disney owned) and released for the first time on DVD. The studio wanted to make a big deal of it, so they hired Chop Shop Studio (then Chopping Block) to make the official website. The creative direction was to design the site as if it were anachronistically built in 1964. 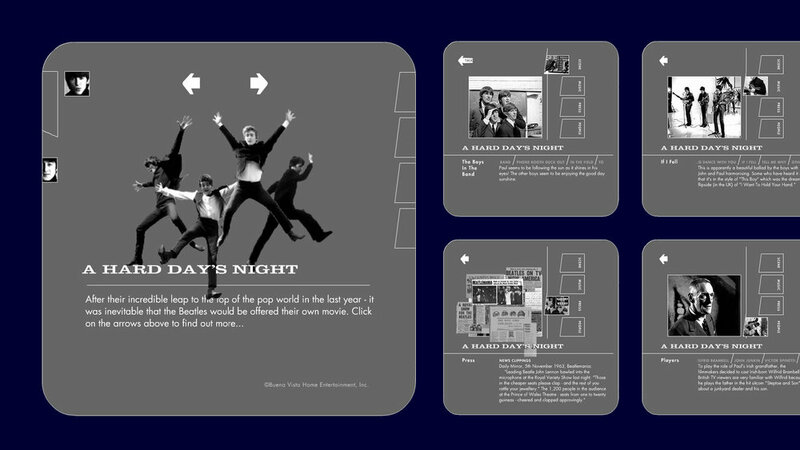 The site had a left and right side: click left and meet the Fab Four, click right and explore details from the film. In keeping with the retro concept, video content was presented flip-book style. One of the highlights of the site was a section dedicated to color images from the making of the film. Since the film is black & white, it is unusual to see some of these classic scenes in full color. When you entered the site you were given a normal looking splash page that essentially gave you two options, “Here Today” or “Yesterday”. The first option was where you looked back at the film from 2001’s historical point of view. 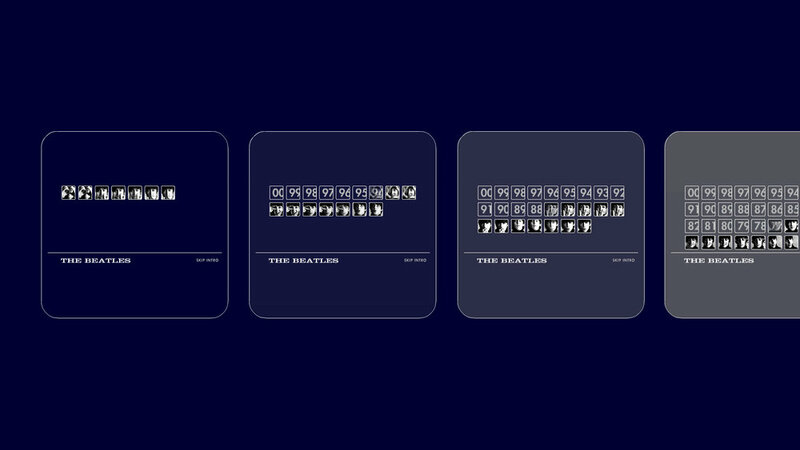 The latter took you back in time by way of a visual countdown that ran backward from 00. When it arrives at 64, that famous first chord from the title track plays and a small square pop-up window opens where you experience the film through an theoretical web portal from 1964.